If for some reason the government shutdown affected you, you can take a breath. It’s over! Although it annoyed most Americans, a few important items came from the debacle that could have long term implications. First, Obamacare has been clearly pinned on the entire Democratic Party and more is known about it than before. Second, Income verification has been added as a necessary step to receive healthcare subsidies (to fight fraud), and finally, a young senator from Texas, Ted Cruz, emerged. This whole fight over Obamacare and wasteful spending will restart shortly as the debt limit will be reached again on February 7th, and I could write pages upon pages on it, but instead let’s focus on the emergence of Ted Cruz. Cruz is a first term senator from Houston with degrees from Princeton and Harvard. He is considered a conservative Republican and gained some favor by coming to the support of Rand Paul during Paul’s filibuster of John Brennan’s CIA nomination–done to make US Attorney General, Eric Holder, acknowledge that he couldn’t use a drone on an American on American soil without trial. Many blame Ted Cruz for the government shutdown, but this is probably misguided. Many believe his showmanship was largely about publicity and fundraising which will be critical not just for re-election but any hope at a 2016 presidential run. This is probably much more accurate. Ted Cruz was actually born in Canada, but because his mother was an American citizen he is considered a natural born American citizen and would be eligible to run for president. 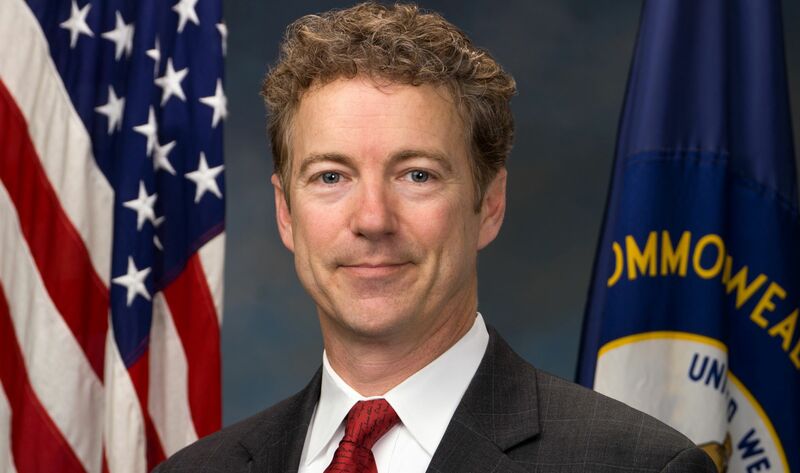 Now, turning our attention to another upstart Republican, Senator Rand Paul of Kentucky, gained popularity in the aforementioned filibuster of the John Brennan nomination, but he was making headway well before. As I wrote previously, he has been on the news seemingly every night. As the government has grown, and grown, and grown, his message of limited government (at home and abroad), liberty (even de-criminalizing drugs), and personal responsibility has become more appealing. He has seized the opportunity share this message, not in an opportunistic, selfish way (though some may disagree), but in a manner that helps the party and the country. One of his more famous lines is “Not one more penny, to any country that would burn the American flag,” a reference to giving foreign aid to countries like Egypt who when polled, say they don’t want our aid. He relies on real data, quoting Pew research where 21% of Egyptians said they find terrorism “acceptable if not laudable.” Maybe most importantly, he explains his non-interventionist foreign policy ideas infinitely better than his father, Ron Paul. He has gone out of his way to avoid his father’s rhetoric that seemingly blamed America for 9/11. Instead, he thoughtfully warns Americans on how our actions–such as arming Syrian rebels–can come back to haunt us. His appeal is wider than that of Ted Cruz and other Republicans, and not for a lack of boldness. He has the courage to go to one of the more prestigious historically black universities, Howard, to discuss the history of the GOP and the issues (see video below, jump to 20:00 for a great story). Rand Paul trails only Ted Cruz in preference among likely GOP primary voters, however his overall appeal is much stronger. I’m tired of the GOP backing moderate, mainstream Republicans. It’s time that GOP primary voters find a candidate to change the image of the party. Rand Paul is a young, energetic, free-thinker whose views may not fit those of the cookie cutter Republican, however they coincide on the issues near and dear (lower taxes, reasonable spending, strong military, pro-life). More importantly, his values and ideals break the mold and give people the impetus to rethink their notions about the GOP. While Ted Cruz is the man of the moment, Rand Paul has broader appeal, better ratings, and is mastering the ability to articulate the message of liberty.